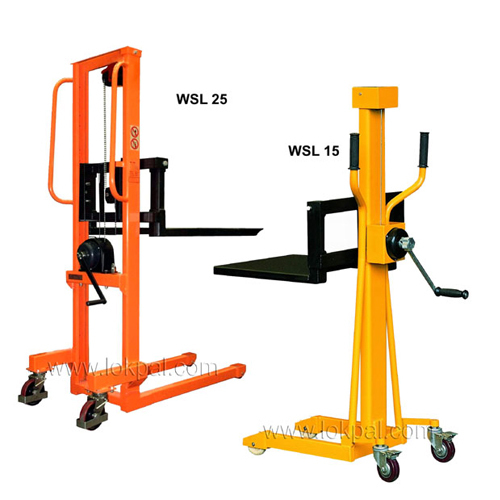 Winch Stacker is a mechanical device that adjusts rope or wire while performing lifting or loading/unloading processes. It is well appreciated for its offered reliability and durability, which is manufactured using high quality materials. Can move through narrow passages. Can be provided with Plain Platform attachment. Also on demand. 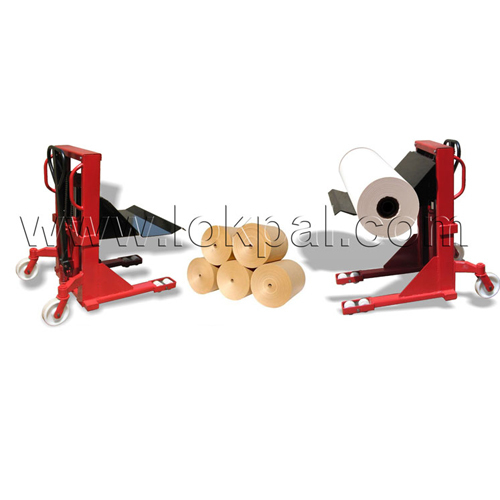 Reel Stacker is safe, effective, fast way of transporting, lifting, stacking, loading, unloading paper and other reels. Compact design, strong and Robust steel construction. Heavy duty twin chains for better load stability. Top quality hydraulic pump and cylinder. Heavy duty 1 piece double lipped C sections forks for greater strength. Built in top of stroke bypass valve. Neutral valve allows the operator to manoeuver the equipment safely and effortlessly. Hydraulic regulator for automatic lowering speed control. All stackers are fitted with large diameter 8" steering wheels. 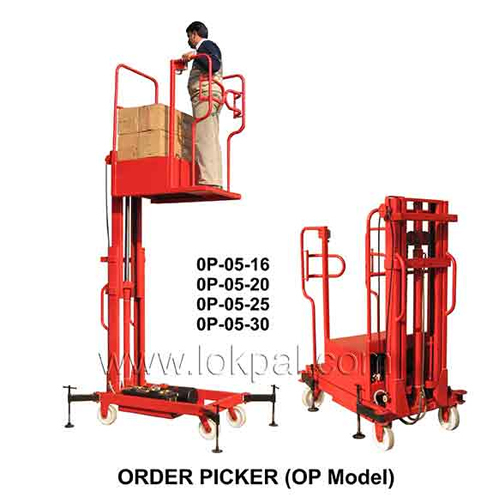 Order Picker OP +TT Lift Stacker is useful for lifting material from racks. 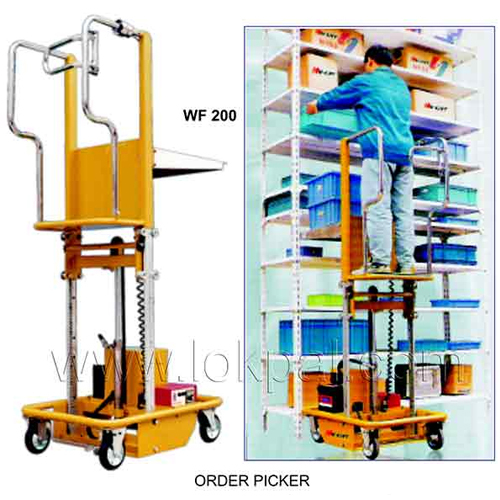 Order Picker Low HT Stacker is Very useful lifting/material from racks at different heights.